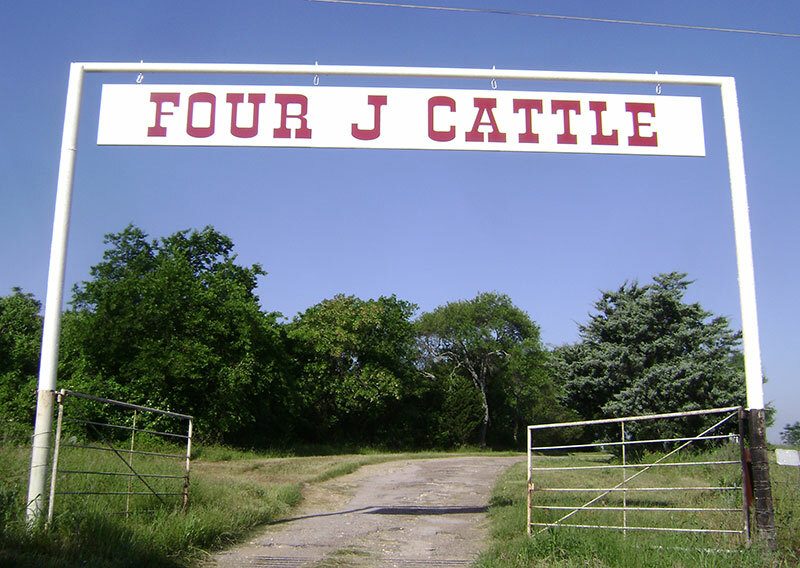 Four J Cattle is a family run purebred Santa Gertrudis and Santa Gertrudis cross operation. Santa Gertrudis cattle have been in our family since the 1950’s and continue to work for us as we strive to produce top quality bulls, replacement females, and top quality feeders. Currently we operate on about 3500 acres of pastureland in Lavaca, DeWitt, Gonzales, and Limestone counties and run 450+ cows. 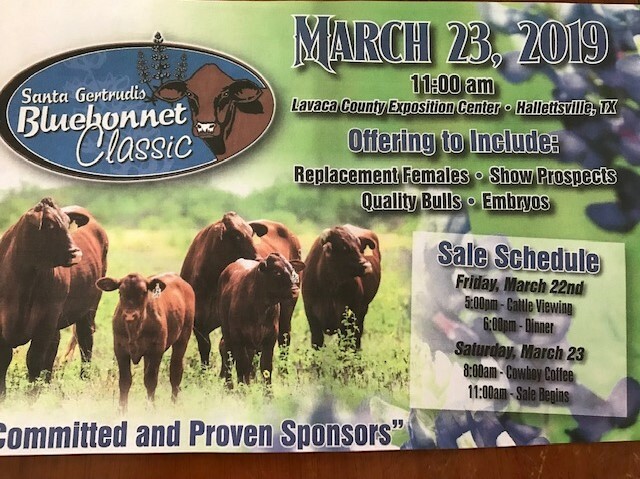 We consign to several sales each year, including the Santa Gertrudis Bluebonnet Classic Sale in March. Santa Gertrudis genetics keep our program focused on keeping maternal ability and heat tolerance on the forefront while improving the carcass traits desired by profit minded commercial producers. Our cow/calf operation is approximately 50/50 purebred and crosses. Our crosses are predominantly Santa Gertrudis and Hereford. We use mainly Red Angus bulls on them to produce a terminal cross for the feed lot. John Justiss is responsible for day to day activities. We welcome visitors and inquiries.